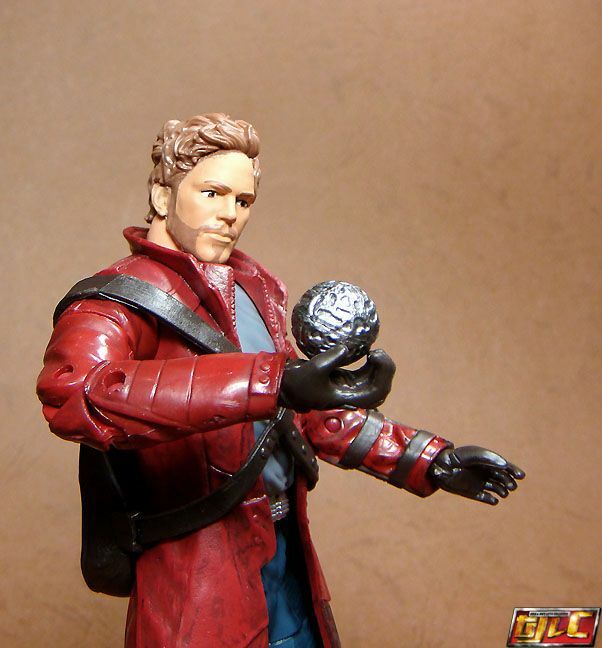 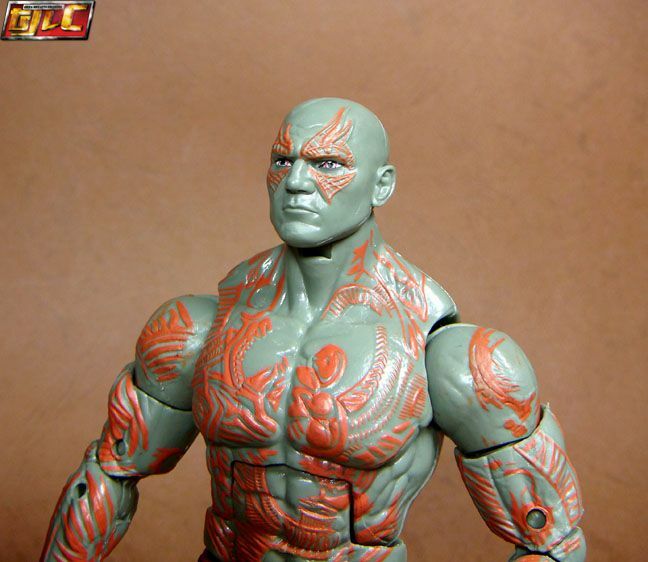 I think the head sculpt is a bit off, not enough brow? 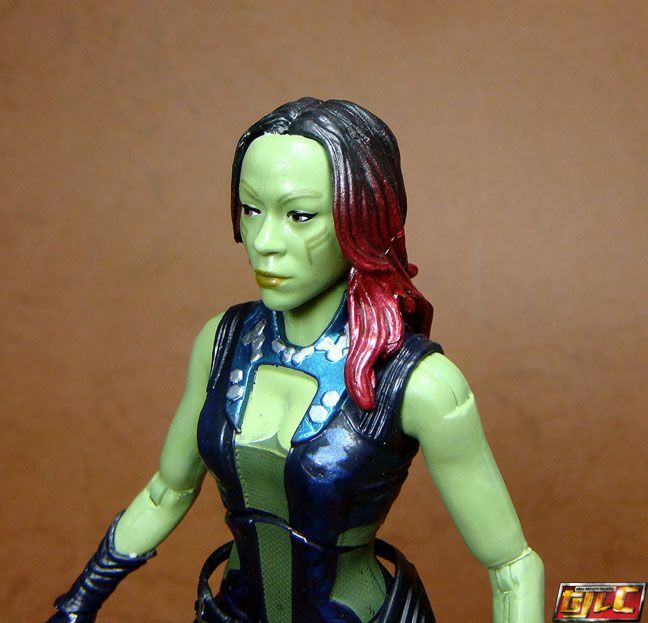 The face kind of looks… expressionless? 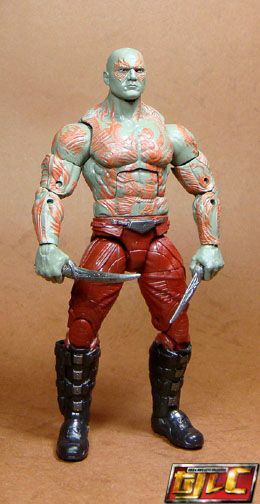 Great details with the tattoos. 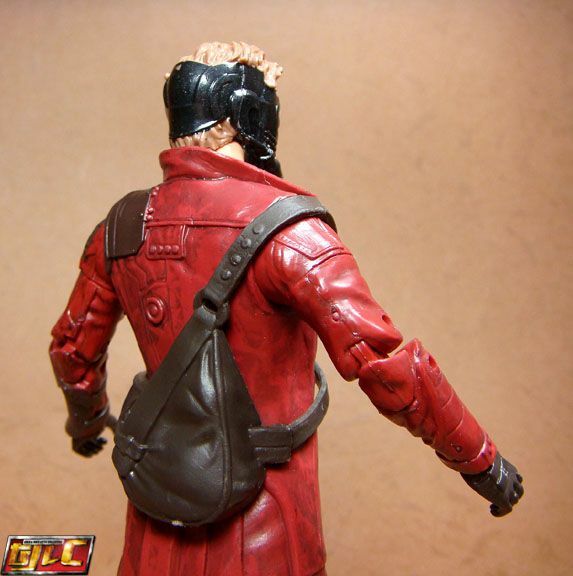 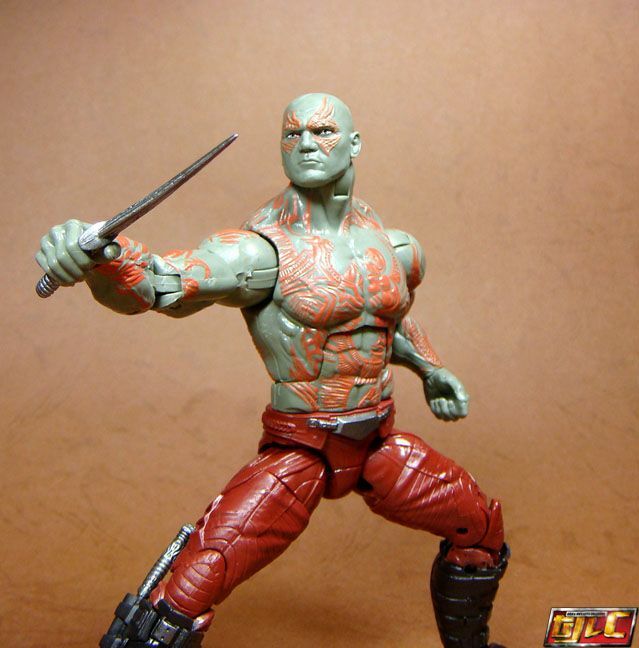 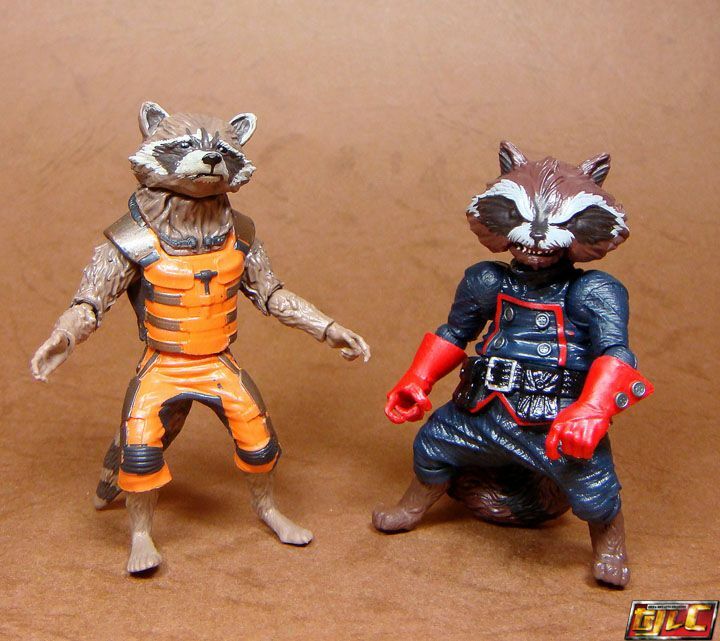 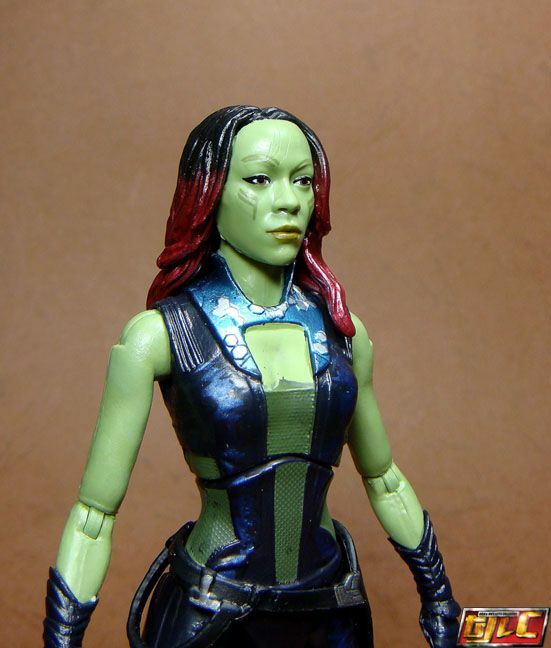 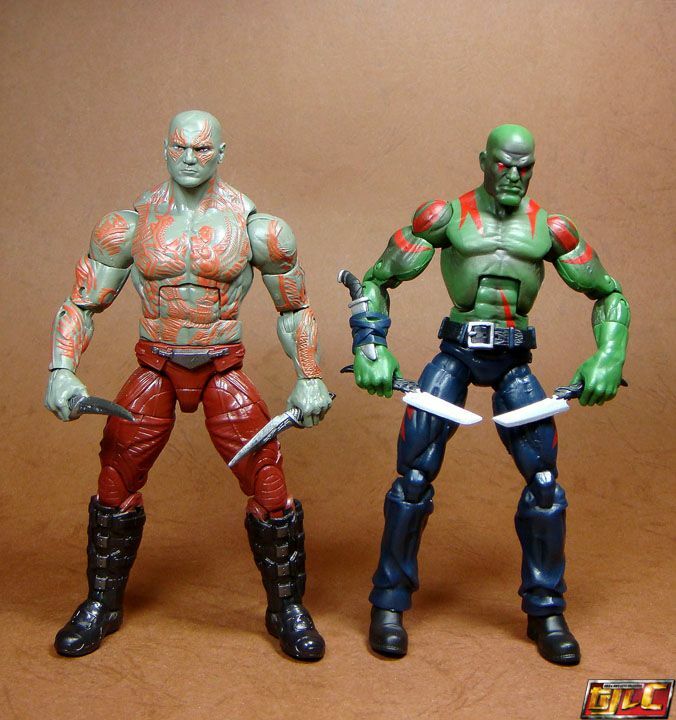 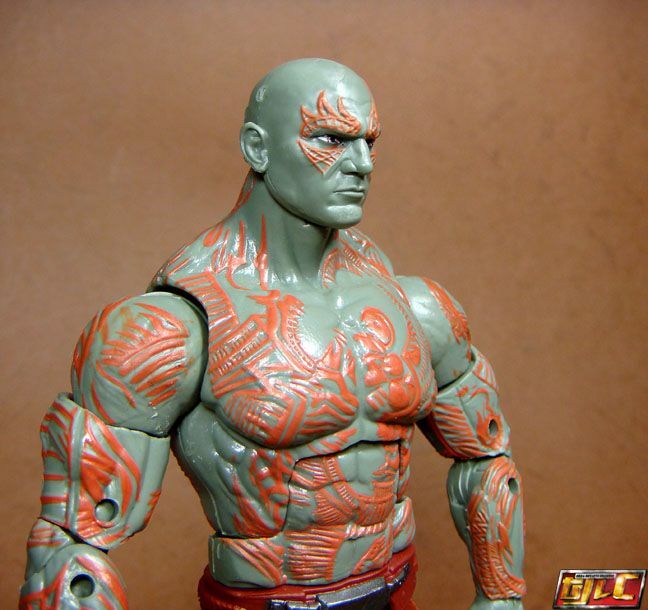 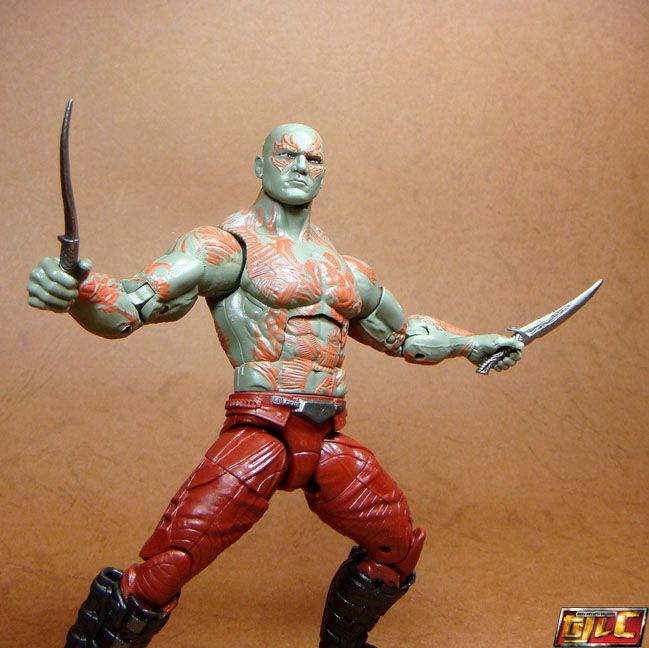 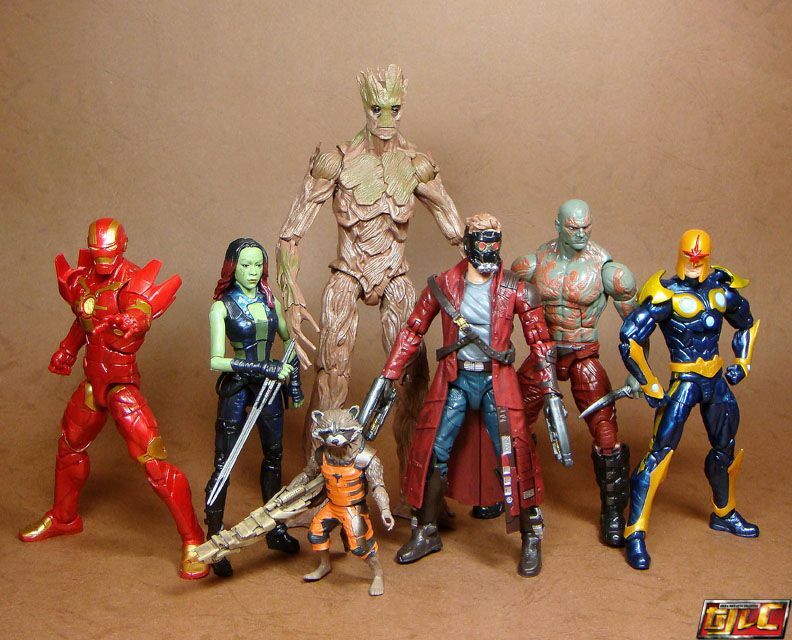 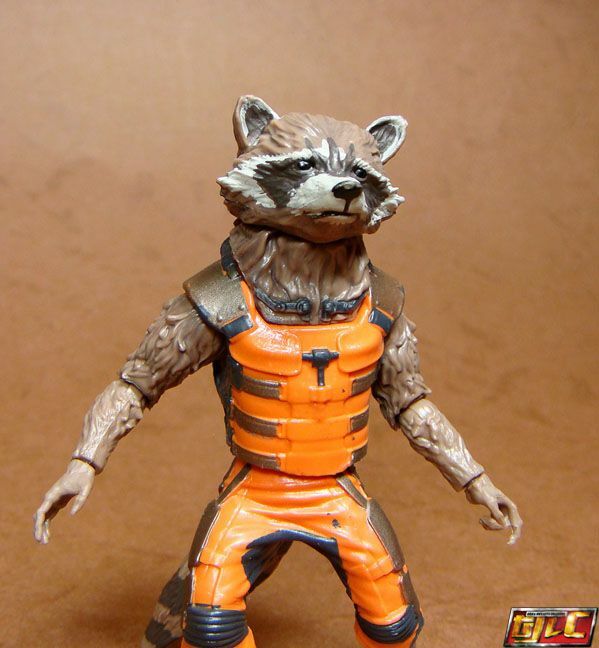 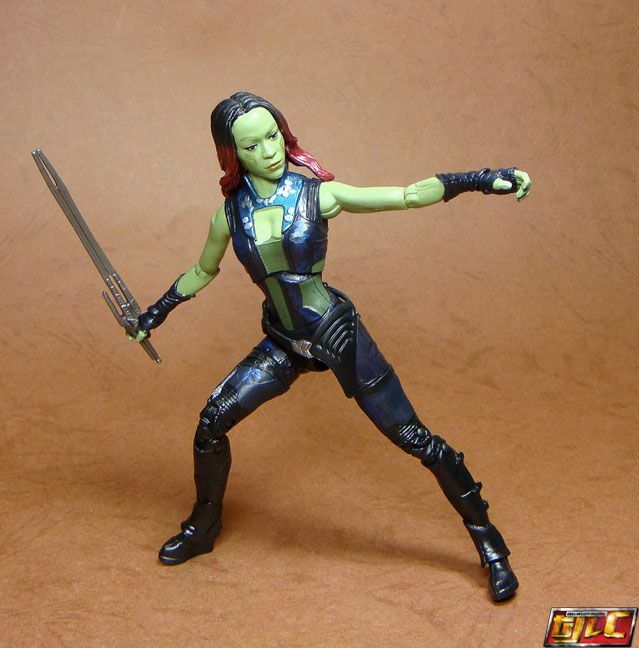 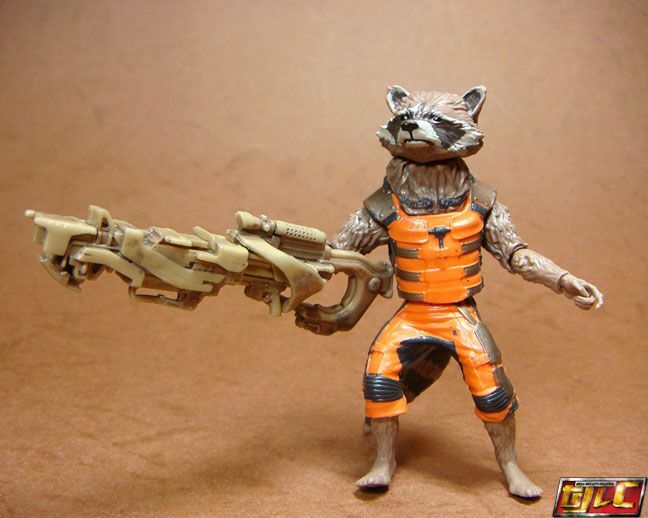 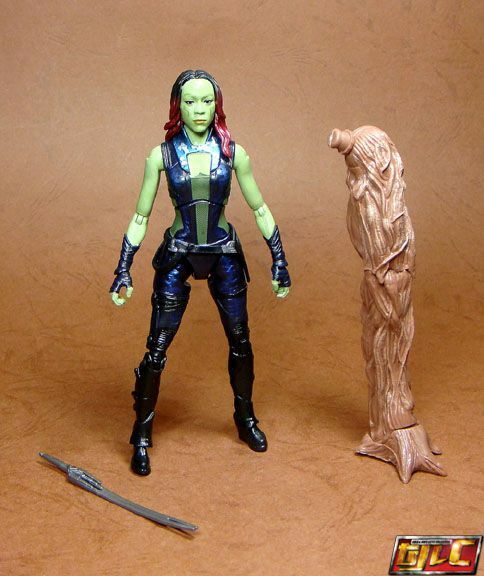 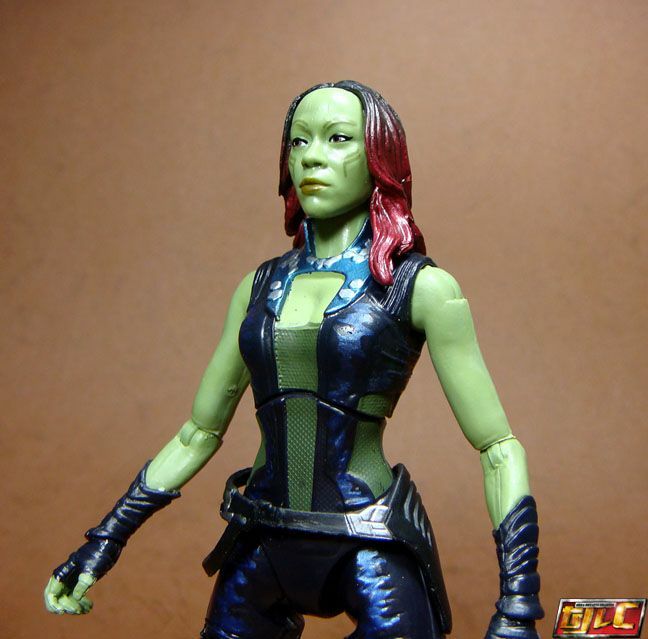 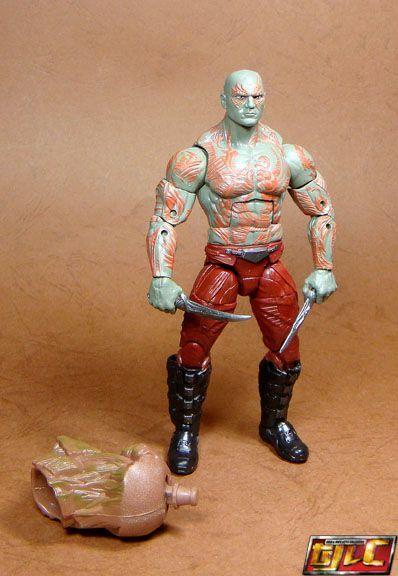 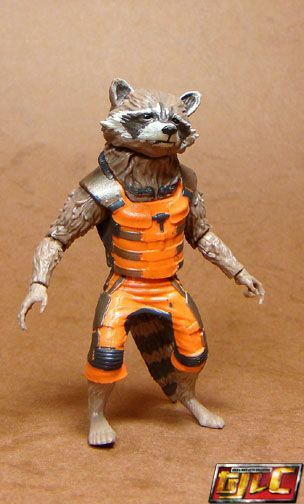 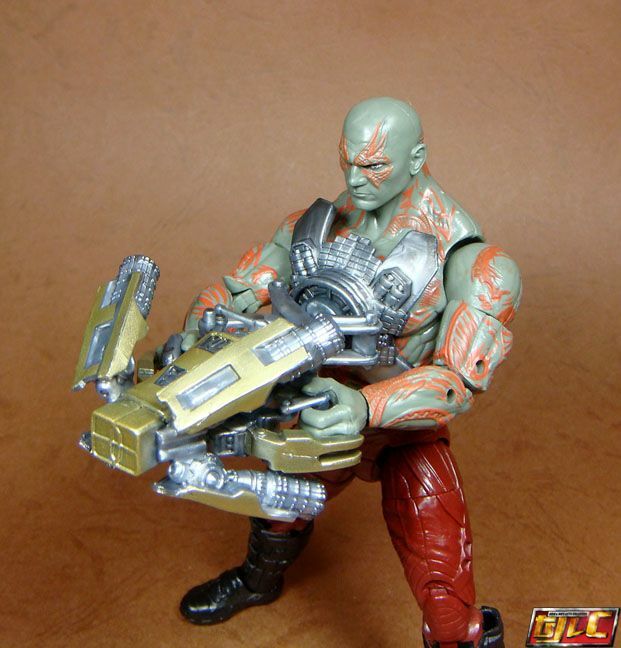 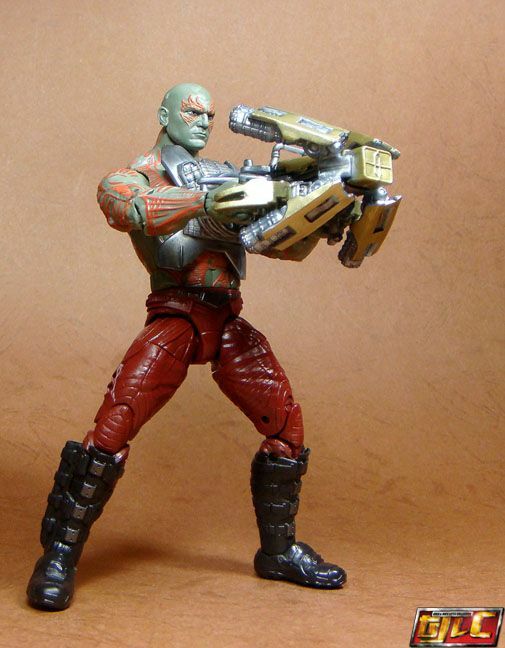 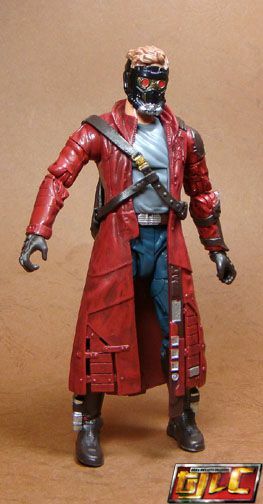 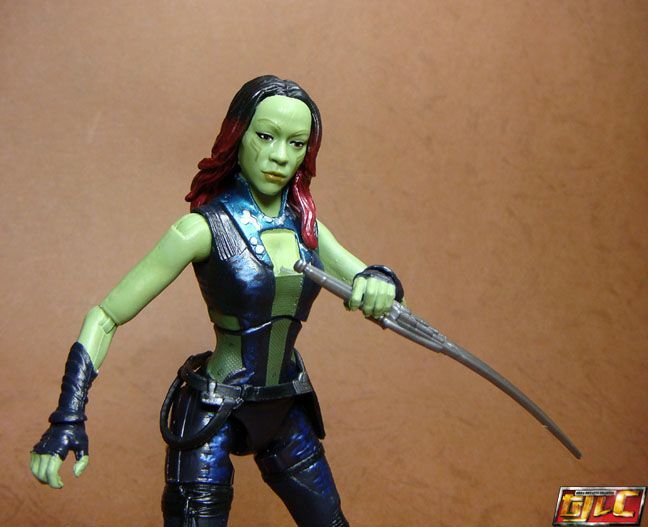 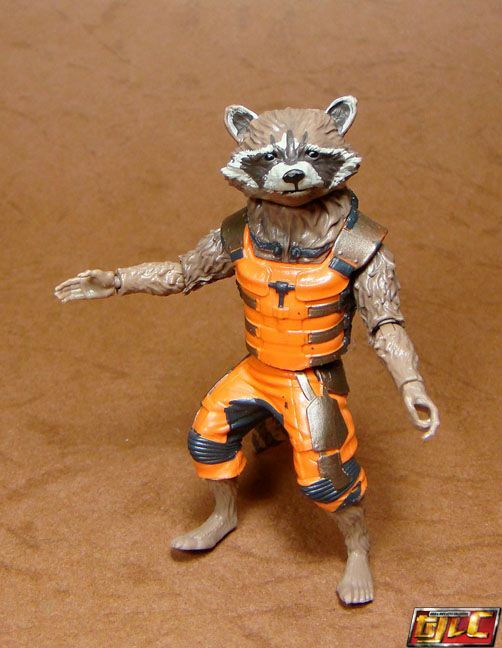 Drax comes with his knives. 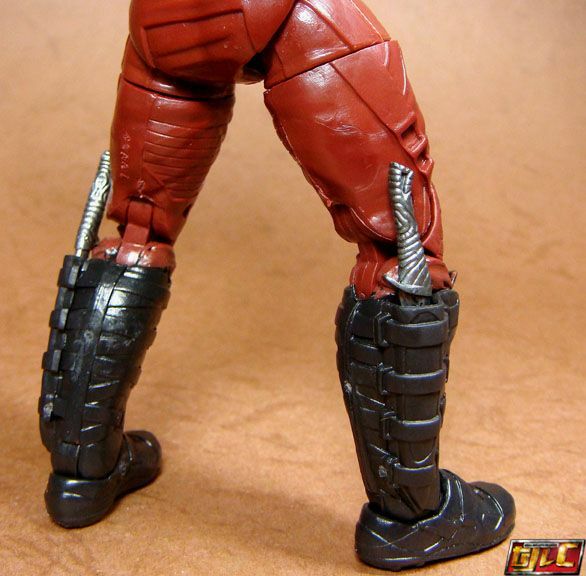 Knives can be stored in his boots. 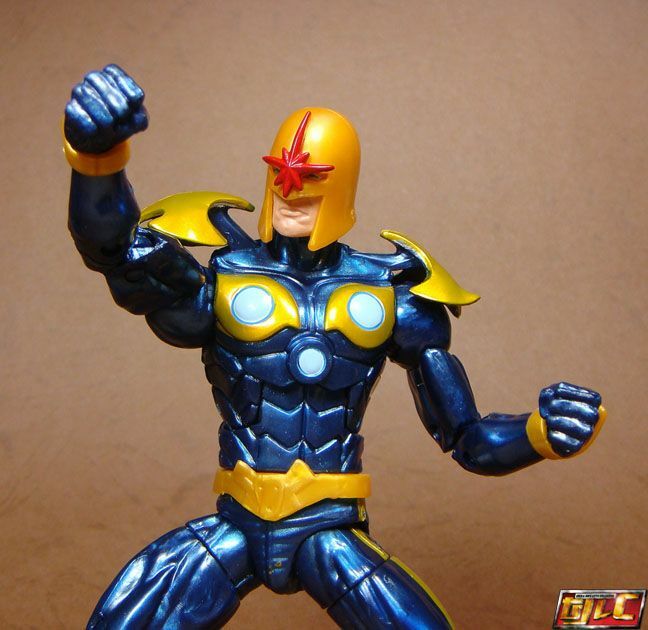 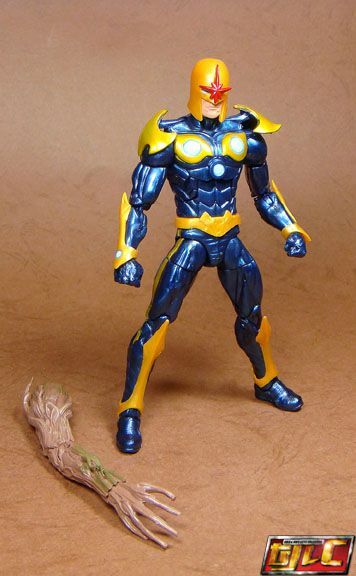 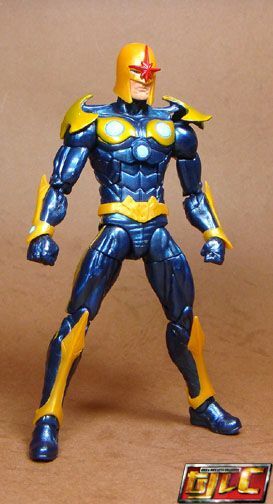 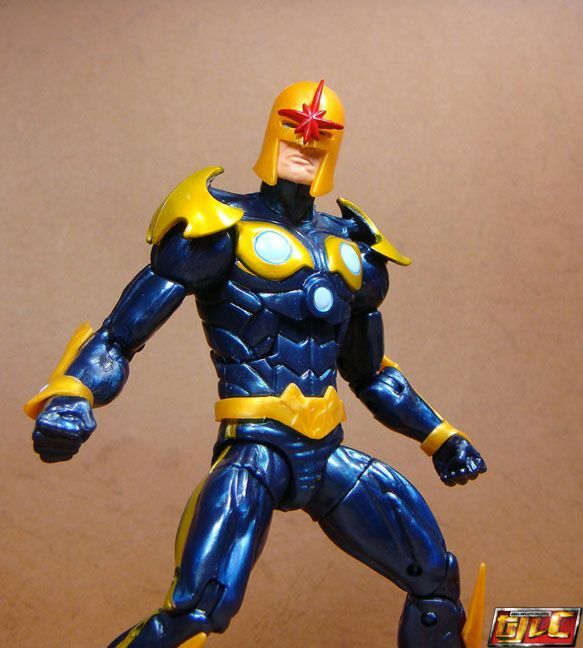 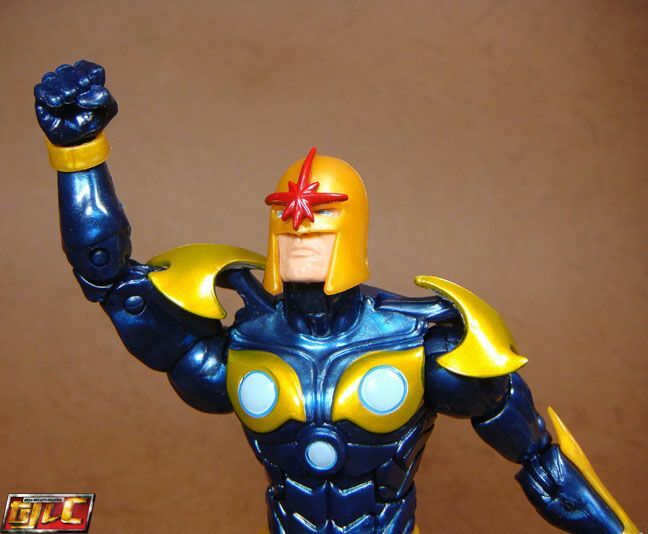 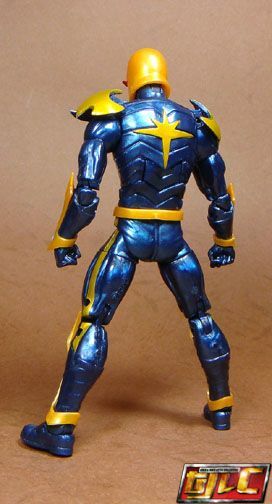 A definite improvement over the older Hasbro Nova. 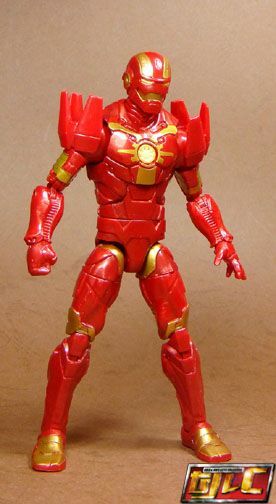 Based on when Ironman joined the GOTG team, it is officially called “Space Armor MkIII” . 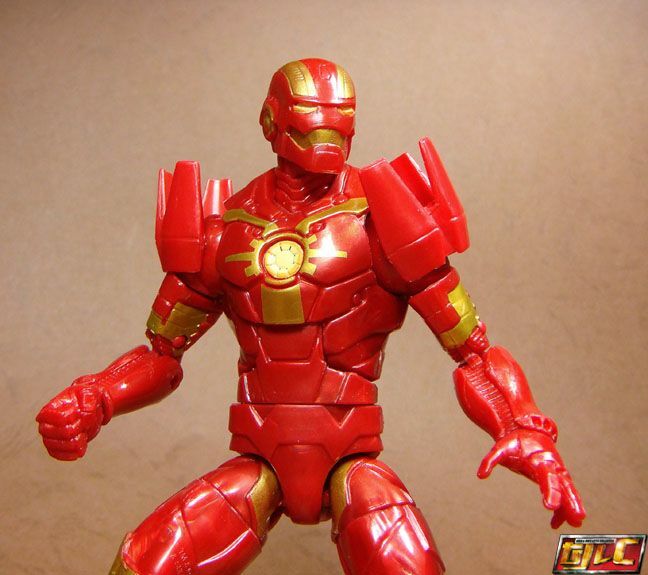 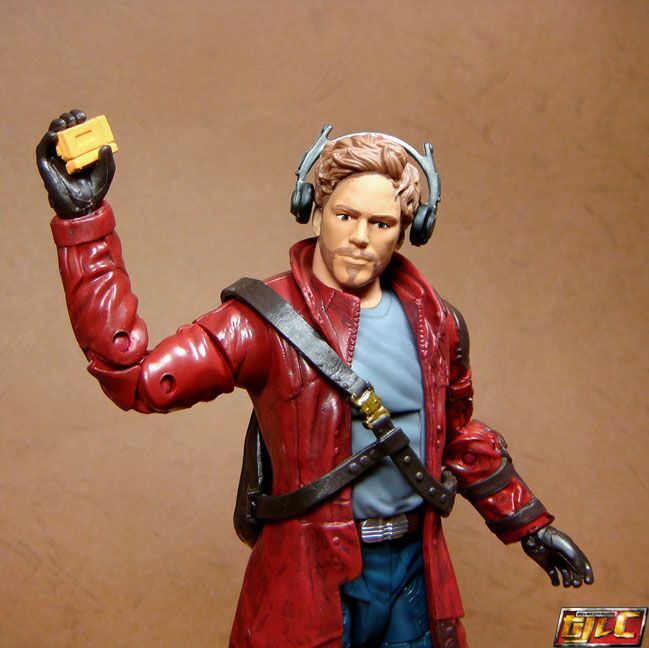 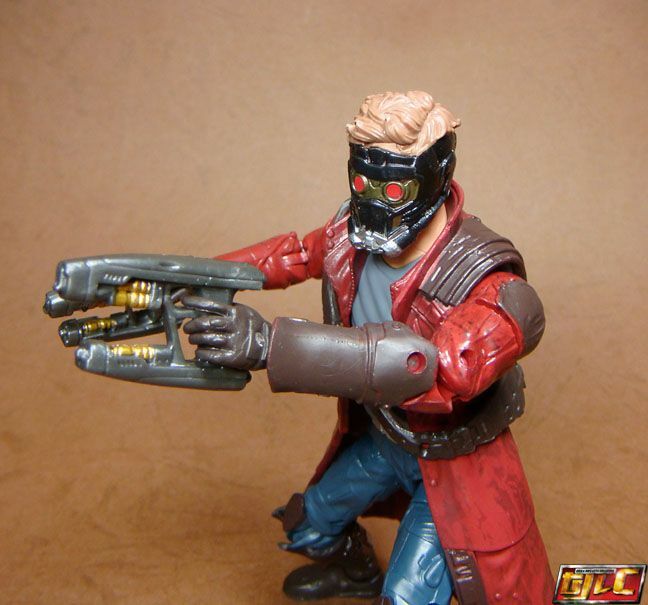 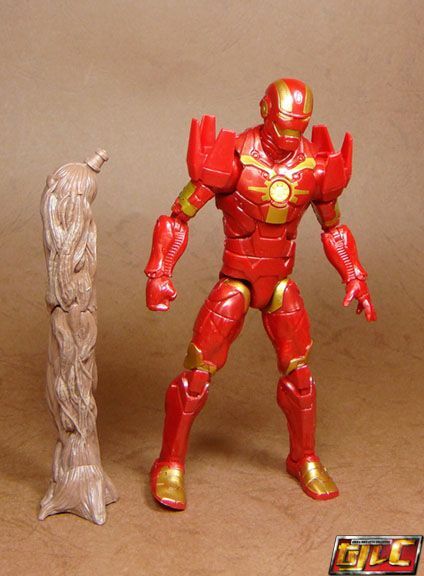 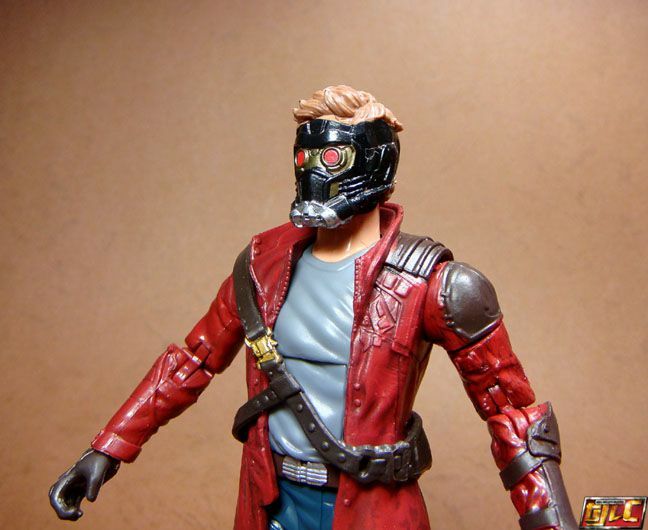 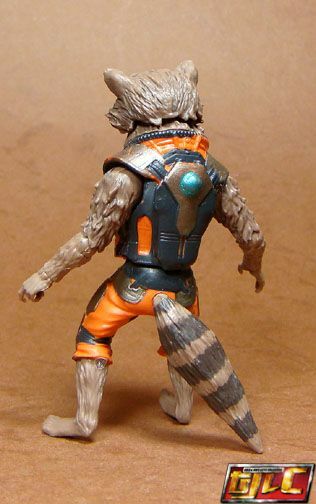 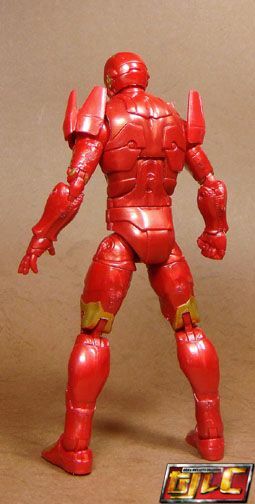 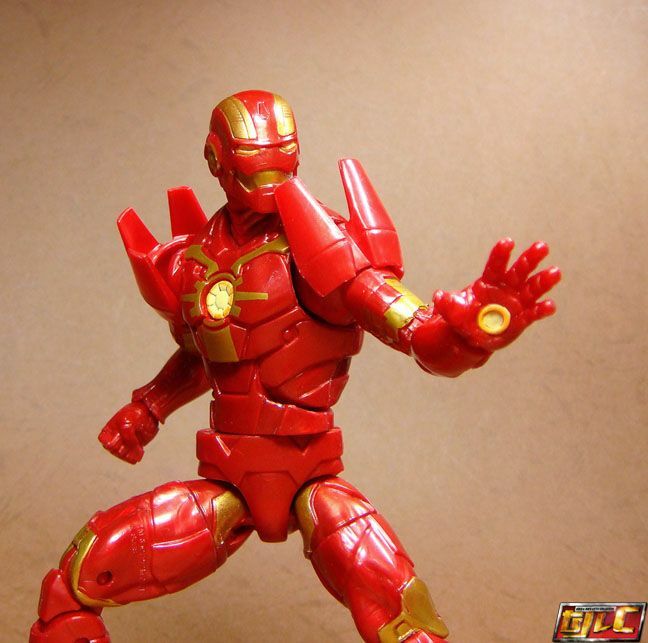 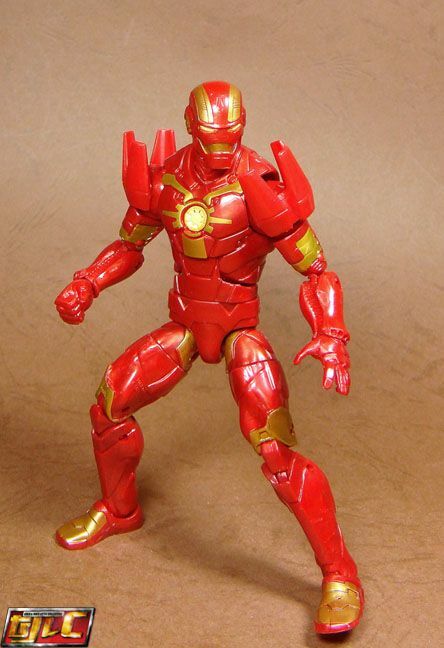 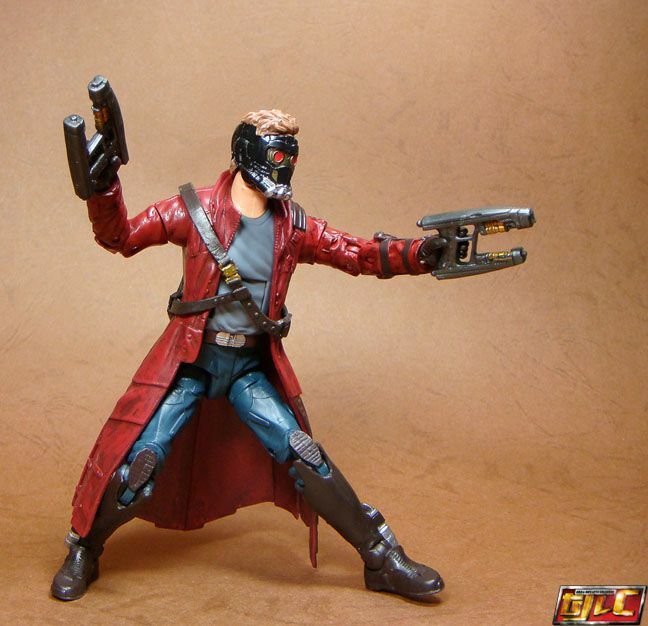 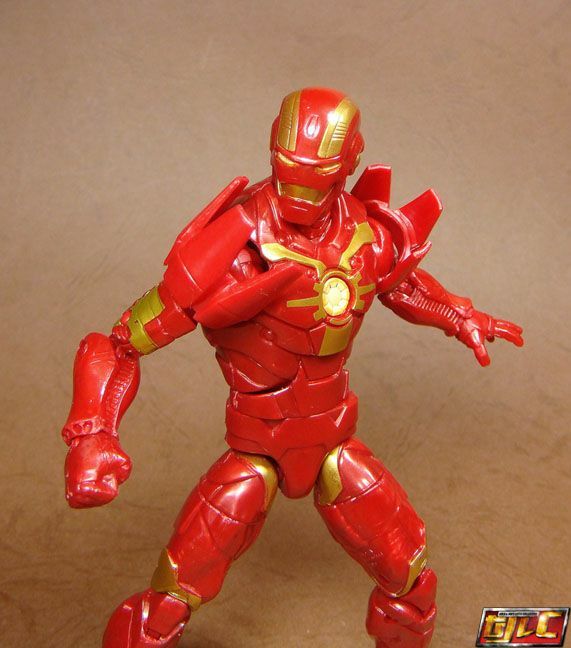 It has the capabilities similar to the Cinematic MK42 (call other armors) and modular components. 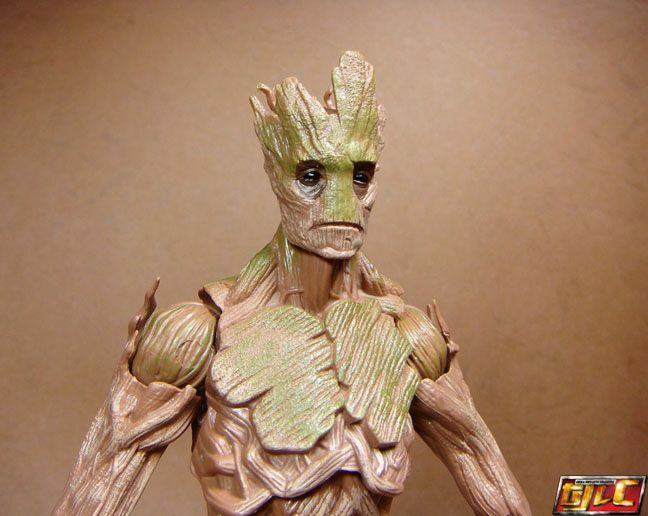 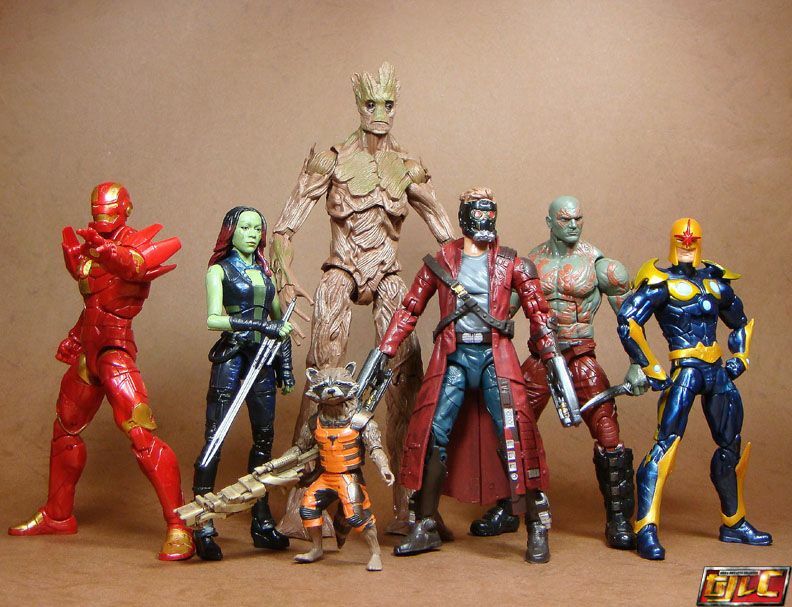 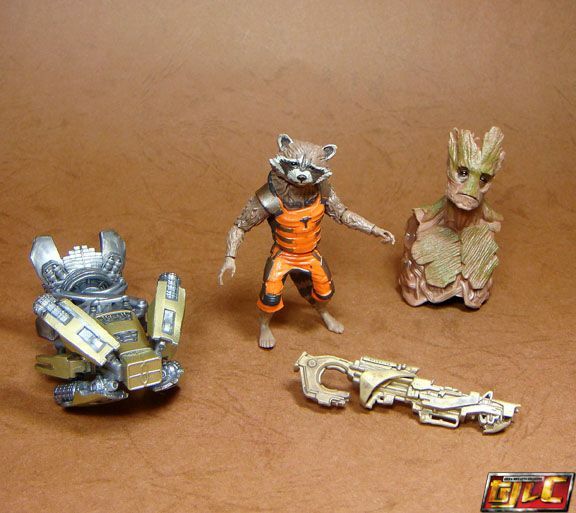 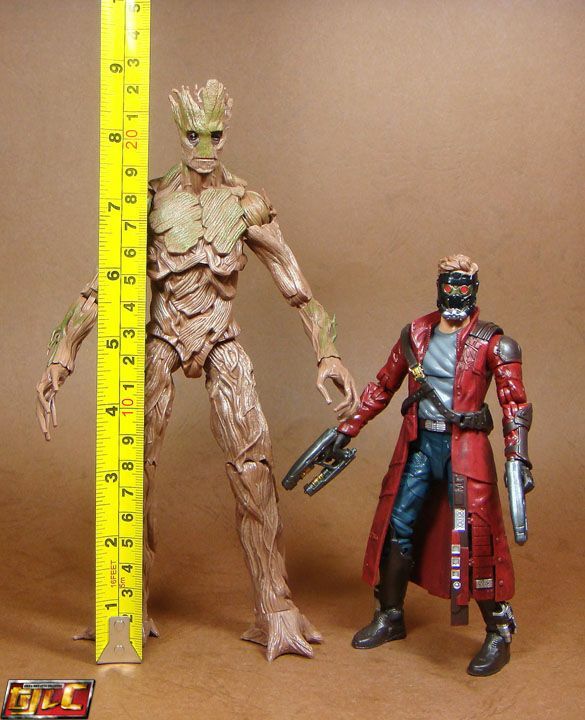 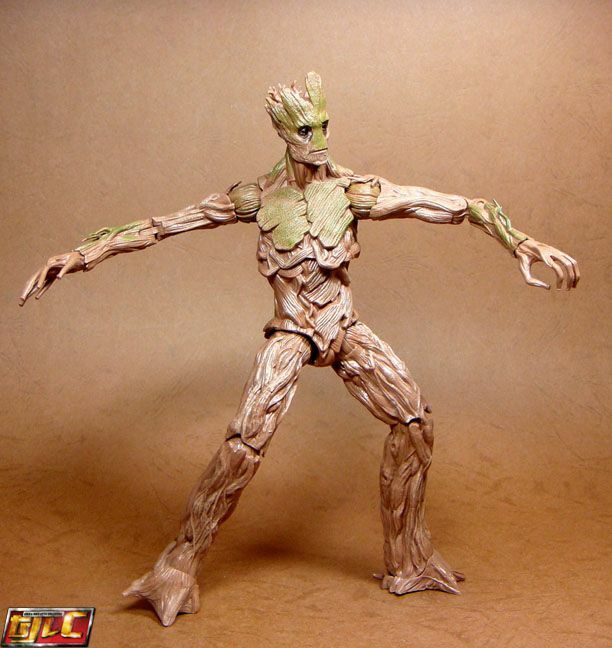 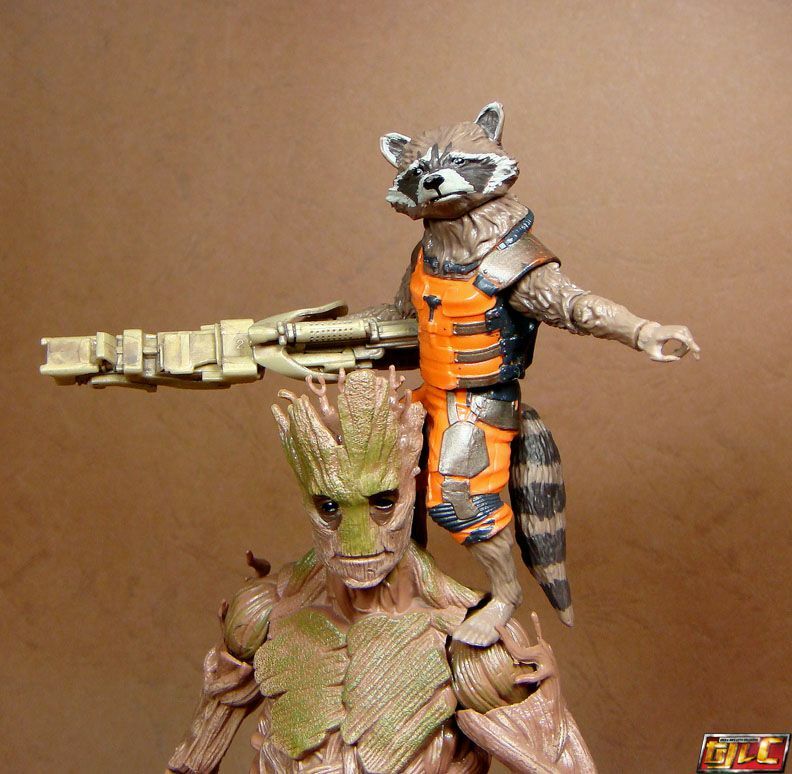 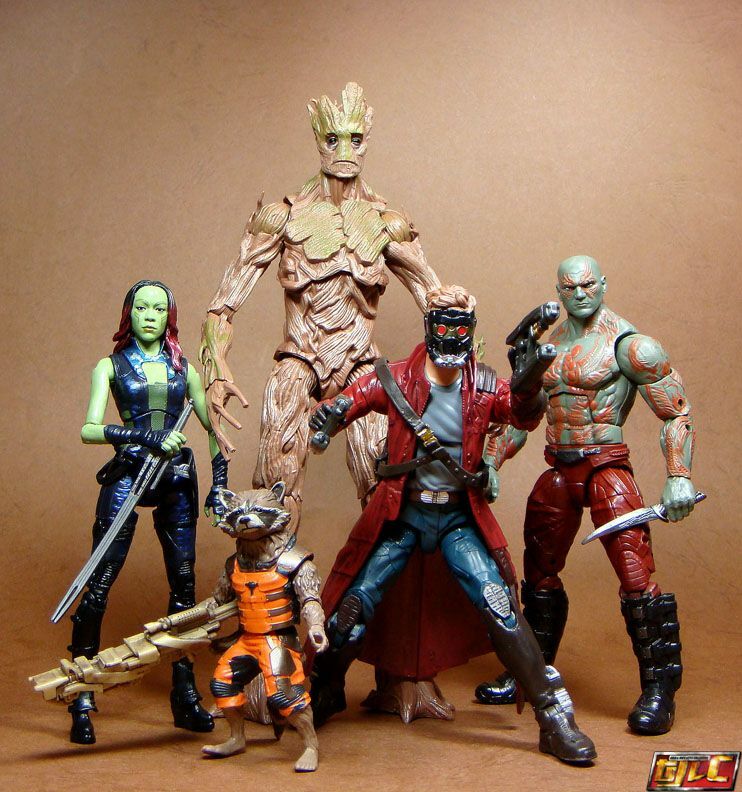 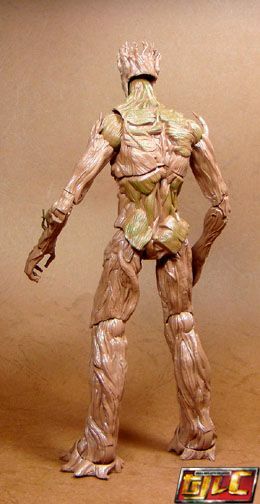 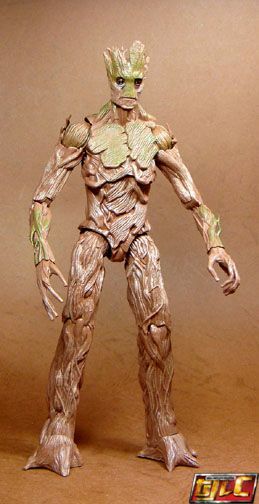 Groot stands roughly 9” tall!